I found it hard to do anything yesterday afternoon because of a tragedy I had witnessed earlier in the day. I sat at my desk thinking about ideas unconnected with my Monday task list, then finally decided I should do the one thing on my task list that might help me make sense of what I had seen – write this letter. The story I will share also relates to a question I had been asking myself earlier in the day: will people join us and take time out of their busy lives to engage in their local communities? I know that many of you who are reading this newsletter are among the more activist members of our society, but that you also would agree that we live in a society stifled by apathy, cynicism, and mediocrity. I was at the gym yesterday and decided to play a little basketball on the outside court. It was an especially beautiful spring day, with a deep blue sky and newly unfurled green leaves dancing and glowing in the sunlight. Suddenly, I heard an awful sound, a sound I will never forget – thunderous rattling, metal against metal, glass breaking, all punctuated by a heavy, otherworldly kind of thud. I realized there had been an accident, most likely involving a large truck. I yelled to someone walking into the gym to call 911, then ran by her to the entrance of the parking lot. Just around the corner of a stand of trees, I came face to face with a huge ball of fire spewing out a thick column of black smoke. Within seconds, two nearly deafening explosions shook the air around me, spraying out pieces of a tractor trailer cab. Knowing there was another human being caught in that hellhole, I have never felt more powerless. As the emergency crews arrived to provide help that could no longer be received, I went back to the gym in a stupor. I got my stuff, went back to my office, and did nothing until I started writing this letter. I saw death up close, reminding me again of the fragility of our lives and the importance of each of us living the life we were meant to live when we came into this world. I believe we are here to evolve our souls, which means living with creative purpose and compassion. There are many obstacles to living this way, with the two greatest being the tendency within all of us to attach ourselves to things that don’t really matter and our inability to confront and conquer the fear that often arises whenever we consider living differently. We live during a time when we can no longer compromise our lives this way. Our world requires extraordinary action from people willing to step outside their comfort zones to make their lives bigger. All the problems we face have solutions, but these solutions will never become part of our world if we assume someone else will find them. I hope we all can take some time now and then to reflect on the meaning of our lives and consider making the changes that bring us closer to living the life we know deep down we were intended to live. And for the life lost yesterday, I said a prayer and hope that in some small way I can honor that loss by recommitting myself to the purpose I have found for my own life. We are optimistic from the positive energy of people across the country who are committed to change through community-based activism. Now, is the time for action. We have and will continue to share our message of truth. However, we believe that in order to see the fruits of this message, we must begin to act. On Saturday, April 21st, we broke ground on a new community outreach program in Durham, North Carolina. 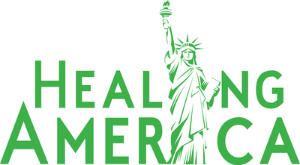 We are looking for community leaders to follow our plan and to help create solutions to the economic, social, political, environmental, and health problems that we face. Nelson Campbell comments on this new community outreach program in this week's video. 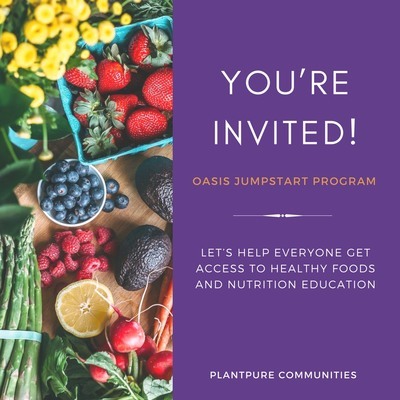 PlantPure Communities is inviting local groups across the U.S. to apply to participate in the 2018 Oasis Jumpstart Program. Through Oasis, healthy meals and nutrition education are being made available to low-income, food-desert, and other underserved neighborhoods at affordable and subsidized prices. Local nonprofit organizations, community-based groups, and Pods, as well as medical clinics, schools, and researchers, are invited to apply. Let’s help people get access to healthy food and nutrition education, regardless of their background, location, or socioeconomic status! Rhubarb is a springtime vegetable that my dad grew in our garden. You cut and cook only the stalks, which are reddish to light green in color. Rhubarb stalks are very sour and cannot be eaten without cooking them down and adding a sweetener. Strawberries and rhubarb both come into season at the same time making them the perfect dessert pair! 1. Preheat oven to 375°F. Line a 9 x 9 inch baking pan with parchment paper and set aside. 2. 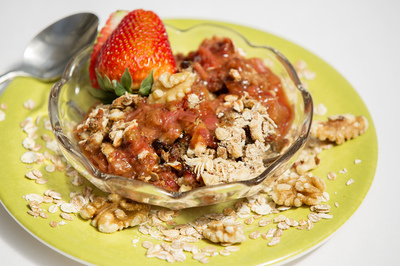 In a large bow, mix together the rhubarb, strawberries, 1/4 cup Sucanat, 2 tablespoons of the flour, and the dates. 3. In a separate bowl, mix together the rolled oats, remaining 1/2 cup flour, remaining 1/4 cup Sucanat, walnuts, and apple juice. 4. Evenly spread the strawberry-rhubarb mixture into the prepared pan. Top with the oats mixture, spreading evenly. 5. Bake for 35-40 minutes until golden brown and bubbly. Spoon into bowls and serve warm. Kim’s Hints: We like to use the leftovers for a delicious breakfast bowl paired with an unsweetened plant-based yogurt. 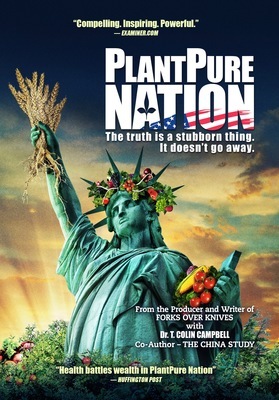 Visit PlantPureRecipes.com for more PlantPure Recipes, or to submit your own!